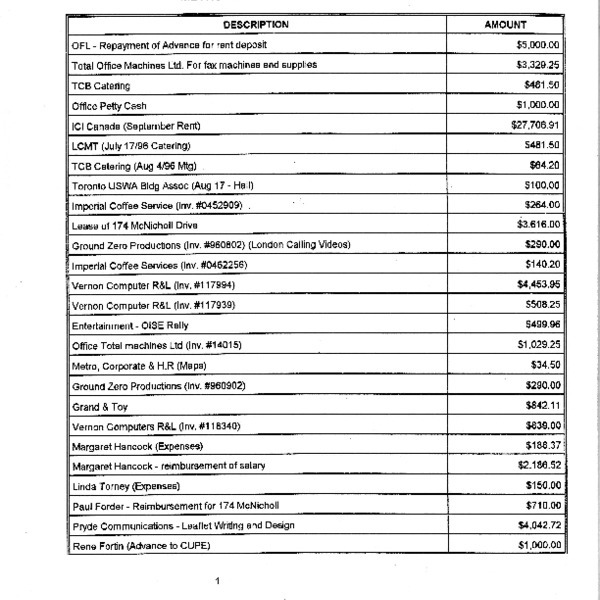 One list describing all the donations and income for the Metro Days of Action and a second list for all the expenses. 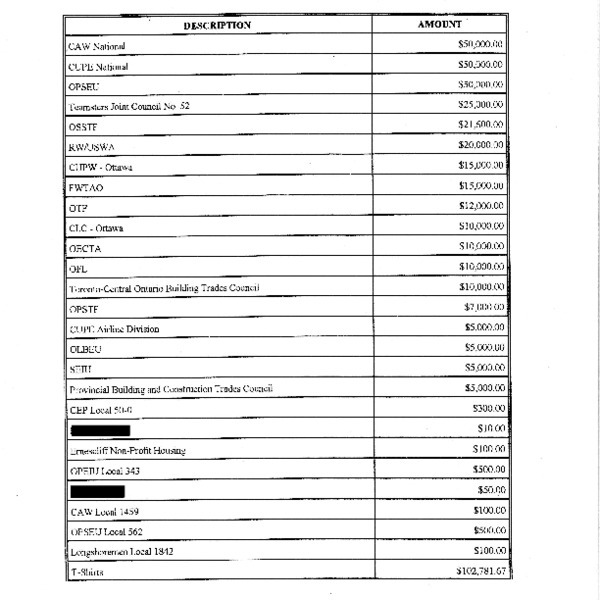 Names associated with personal donations have been redacted for privacy. Paul Forder, “Metro Days of Action Income and Expenditures,” Alternative Toronto, accessed April 26, 2019, https://www.alternativetoronto.ca/archive/items/show/435.